Led by expert fertility specialists, Dr. Armağan Ulubaş, euroCARE IVF is on a mission to provide the highest standard of fertility care to all of our patients. The top fertility center in North Cyprus offers personalized, innovative, modern treatment options to intended parents while remaining committed to providing these technologies at the most affordable costs possible. As the leading destination for fertility treatment and stress-free travel, our North Cyprus fertility clinic offers hope to patients around the world. 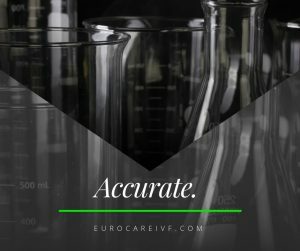 With the numerous advancements in In Vitro Fertilization (IVF), cryopreservation Cyprus techniques have allowed preserving eggs, embryos, and sperm — a staple option for intended parents at euroCARE IVF in Europe. Egg freezing allows a woman or couple to preserve fertility options for future use. This option is available to women who are diagnosed with cancer or other illness that may affect their fertility. It is also an option for healthy women who wish to delay attempting to achieve pregnancy until later. During an egg-freezing cycle in North Cyprus, a patient will go through many of the same steps that are involved in a typical IVF cycle: ovulation stimulation, ultrasound monitoring, and egg retrieval. After egg retrieval, the eggs will be cultured for a few hours and then frozen the same day for future use. When a woman/couple completes IVF treatment at euroCARE IVF, they may decide to freeze any remaining embryos. This is beneficial for those few who are not successful on the first attempt or those who wish to return to try for a sibling in the future. The embryos may be frozen and stored for an indeterminate amount of time. When the recipient decides they wish to use their frozen embryos in a cycle, the medical team will perform a Frozen Embryo Transfer (FET). This is where the frozen embryos from the previous fresh IVF cycle are thawed and then transferred to the uterus of the intended mother. You have embryos remaining after a recent IVF cycle. Embryos can be frozen for future family building cycles. You have a condition or a disease such as cancer, or you are facing medical treatment that might affect your fertility. Cryopreservation is a procedure which uses very low temperatures, usually -196 °C/-321 °F to preserve living cells and tissues using liquid nitrogen (N2) . Cryoprotectants are substances that preserve and prevent living cells and tissue from freezing. Cryoprotectants must be able to reduce the amount of ice formed, otherwise crystals can damage cell’s membrane or other cell structures. They should be also able to penetrate into the cells and displace water in order to prevent intracellular crystallization. Cryoprotectants provide a “hyper-osmotic” environment that facilitates dehydration of cells. For this purpose, cryoprotectants with large molecules are used, which cause water to be removed through osmosis and diffusion. Cryoprotectants composed of smaller molecules such as ethylene glycol or glycerol are able to permeate the cell so it prevents cells from shrinking. Thus, cells are able to stay intact and keep their shape. Substances such as glycerol, dimethyl sulfoxide, ethanediol, and propanediol have such properties. There are two methods for cryopreservation: conventional and prevented (vitrification). Conventional cryopreservation, also known as slow programmable freezing (SPF) involves sequential addition of cryoprotectants in series of 10 to 20 minutes and slow cooling of cells at about 0.3 to two degrees a minute down to -196 degrees Celsius (or about -320º Fahrenheit), which is the temperature of liquid nitrogen. That’s the temperature at which all biological activity ceases inside the cell. Intracellular freezing is avoided by slow cooling that allows water within cells to move out during progressive freezing of the extracellular fluid (fluid outside the cell). To prevent crystallization and recrystallization of the extracellular fluid, substances such as alginates, polyvinyl alcohol or chitosan are used along with small molecule cryoprotectants. The rate of freezing depends on the cell size and permeability, but a typical cooling rate of about 1 °C/minute is considered appropriate for many mammalian cells. 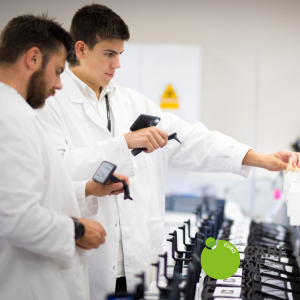 The 1 °C/minute rate is used for cryoprotectants such as glycerol or dimethyl sulfoxide and can be achieved with a rate-controlled freezer or a benchtop portable freezing container. Vitrification, also known as prevented cryopreservation, is an emerging technology that differs from the traditional cryopreservation. Vitrification is a “flash freezing” method that cools cells so quickly to -196ºC that they become “glass-like” or “vitrified.” Compared to the slow freezing technique that takes hours, vitrification is finished within minutes. The cooling rate is really important for the success of cryopreservation. The freezing speed (megakelvins per second) is 10,000 times faster. Shorter the cooling process, less likely ice crystals will form in the cell. Rapid cooling is necessary to prevent toxicity of cryoprotectants at room temperature and achieve vitrification. In the process, cells are solidified by increasing their viscosity and avoiding dehydration. The transition from liquid to solid by crystallization used in traditional cryopreservation is replaced with an increased of viscosity and a decrease of the freezing temperature. Many substances do both, but larger molecules generally have a better performance, especially in terms of viscosity. The solution becomes an amorphous ice that looks like a solid liquid. The only concern associated with vitrification is the high concentration of cryoprotectants. Vitrification of tissue was first reported by Lilia Kuleshova who also was the first scientist to achieve vitrification of woman’s eggs (oocytes), which resulted in live birth in 1999. It’s the reverse process of cryopreservation. The key factors for successful thawing are rehydration of the cell. Embryos or sperm are warmed in air and in a water bath at a warming rate that is much faster than the cooling rate. They are warmed first to room temperature and then to body temperature. Embryos go through a number of steps to slowly dilute out the cryoprotectants. They are usually implanted within two to four hours of reaching body temperature.